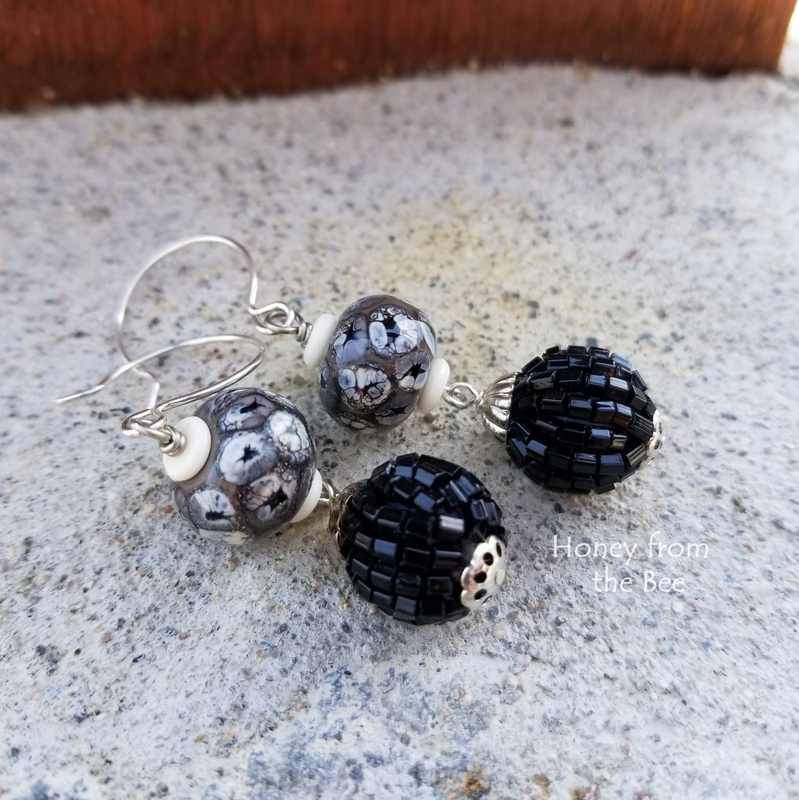 These black and white artisan earrings would look great with my Pele necklace, but also on their own. 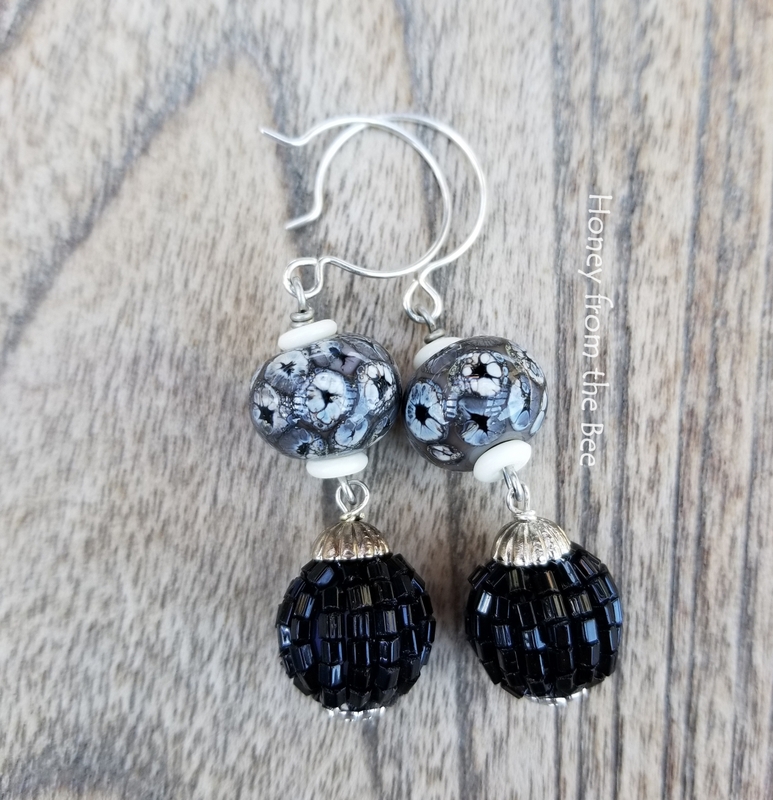 The vintage beaded beads made me smile, because I've spent hours creating beaded beads in my past and can imagine someone doing this many years ago with faceted seed beads. 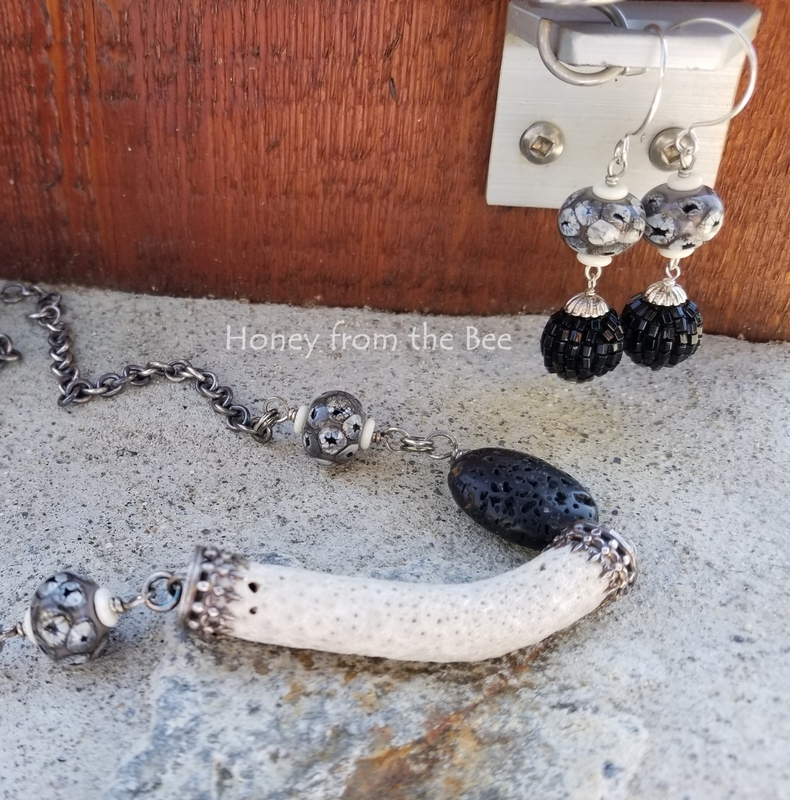 These hang about 2" from the top of the earwire to the bottom of the earring.